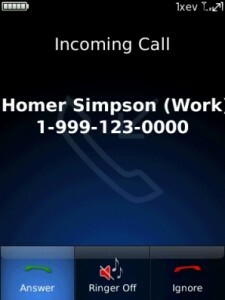 Fake Call is a program that allows you to fake calls on your Blackberry Smartphone.This blackberry software might save you from unwanted conversations or meetings by simulating an incomming call on your blackberry. Supports generating a fakecall from the Calendar and Contacts applications. Just create a new appointment and then put in they work “fakecall” in the subject and wait for the fake call.